An e-cigarette is a device that uses electricity from a small battery to vaporize a tobacco-containing solution, producing a vapor that is inhaled. The vapor includes nicotine, the addictive chemical found in other tobacco products, and the e-cigarette is designed to look like a cigarette. While e-cigarette manufacturers claim that their products are safe, they are not FDA-approved and in many cases they may not be used where cigarette smoking is banned, in particular on commercial flights. ASH has called for e-cigarettes to be treated like other lit tobacco products until there is firm scientific evidence that they are not harmful. The burden of proving their safety should be placed on the manufacturers. And until the FDA says otherwise, they should not be marketed as cessation products. 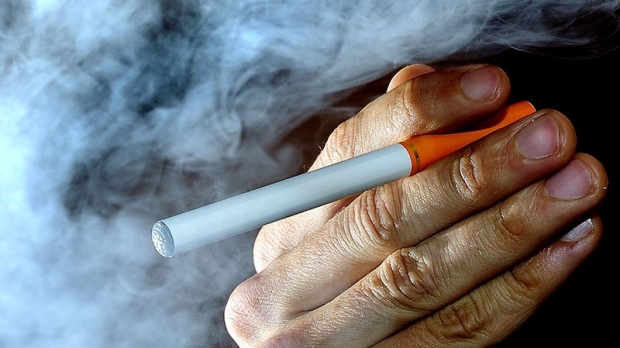 Should e-cigarettes be considered tobacco products? Since e-cigarettes hit the market, they have been the subject of intense debate. Are electronic cigarettes a cessation tool or an alternative smoking device? Should they be subject to the same smoke-free air laws as tobacco products? Should they be taxed at a similar rate as cigarettes? In Toulouse, France, the courts just took a big step toward answering some of these questions. Recently, a licensed tobacco retailer filed a complaint against an e-cigarette retailer that set up shop nearby. The complaint argued that the e-cigarette retailer was violating French public health laws by selling and advertising the e-cigarettes. Subject to French law, only licensed retailers may sell tobacco products and they cannot advertise them. In the U.S., the debate continues. 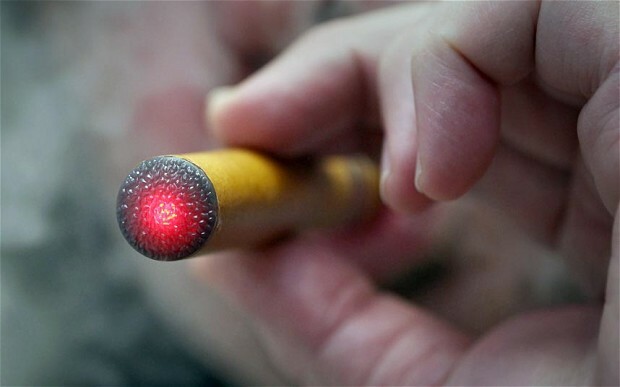 The FDA has just begun to deal with the legal issues of electronic cigarettes. Forty attorneys general from across the United States urged the FDA to regulate electronic cigarettes the same way they regulate cigarettes. Read the letter here>. Several states in the U.S. have begun to regulate electronic cigarettes in the same manner as cigarettes, with smoke-free air laws- Utah, North Dakota, New Jersey and most recently New York and taxes in Minnesota. A French tobacconist won a landmark court case on Monday to stop a nearby shop selling e-cigarettes after a court ruled it was unfair competition as the devices amounted to tobacco products. The ruling has infuriated e-cigarette vendors after months of heated debate in France and Europe over the legal definition of the devices and how freely they should be sold. It could see a rash of court cases from among France’s 27,000 tobacconists, many of whom already sell e-cigarettes but want the exclusive right to do so. In the landmark case, Annie Pontus, the plaintiff who runs a tobacconist in the town of Plaisance-du-Touch near Toulouse, south-west France, had sued a nearby shop, called Esmokeclean, which opened in June. She accused its owners of breaching the legal monopoly on the sale of tobacco products in accredited outlets by promoting their wares in their shop, on Facebook and on their internet site. “We don’t have the right to advertise but these people, who sell nicotine-based products, do,” she said, arguing that this was unfair. Her lawyer said that e-cigarettes and their liquids contain nicotine, and thus should be placed in the same legal bracket as tobacco products. She also called on the government to limit the sale of the devices exclusively to tobacconists, as in the case of cigarettes. Esmokeclean argued that e-cigarettes are currently in a “legal vacuum” and therefore should not fall under the tobacconist’s monopoly. But on Monday, the Toulouse court ruled that despite containing no tobacco, e-cigarettes were substitute tobacco products. As a result, they should be subject to France’s state imposed monopoly on tobacco, which stipulates cigarettes and other products can only be sold in registered outlets. The store’s lawyer announced an immediate appeal meaning for the moment the court’s judgment is not applicable. But it could eventually see the distribution of e-cigarettes limited to a state-imposed monopoly on tobacco sales. Pascal Montredon, the president of the French confederation of tobacconists, welcomed the ruling as “excellent news”. But Benjamin Echalier, lawyer for Reynald Pirat, one of the store owners, denounced it as “absurd and abhorrent” and one that “goes against what is tending to be decided on a European level”. CACE, a body representing e-cigarette vendors in France, slammed the verdict as “scandalous”. “The e-cigarette is an everyday consumer product and not a tobacoo product. “The (court) has thus overstepped its powers by applying the status of tobacco product to the electronic cigarette,” it said, adding that it was confident that the ruling would be quashed on appeal. This is the latest chapter in an increasingly acrimonious battle between those selling conventional tobacco cigarettes and battery-powered electronic cigarettes, which release vapour. It comes after the European Parliament recently ruled that e-cigarettes were not in fact medicinal and could therefore remain on open sale, not just in tobacconists. There are an estimated 1.5 million users of e-cigarettes in France and almost one in five French adults has tried the device, according to a recent poll. Electronic cigarettes have hit the American market with force, and their use has increased dramatically in just a few years. The tobacco industry has gotten into the game, bringing big money into e-cigarette marketing. At ASH, we welcome products that have been proven to help smokers quit, and a number of FDA approved products are available on the market. But we are not yet convinced that e-cigarettes are indeed that type of product and we remain concerned by the lack of regulation surrounding e-cigarettes. As a science-based advocacy group, we believe there are simply too many unknowns about e-cigarettes. Whether e-cigs help smokers quit. There are some anecdotal stories of ex-smokers who could not quit until they tried e-cigarettes, but there is no substantiating research yet to corroborate this claim. The impact on children. According to the CDC the number of teenagers using e-cigs has doubled. Are kids now becoming nicotine addicts without ever picking up a cigarette? Will some of them switch to regular cigarettes at a later stage? We don’t know enough about what impact e-cigs have on initiation into nicotine addiction. The contents of the vapor. The marketing is aimed at making consumers think e-cigarettes just emit water vapor, but they do not. There is some strong evidence that the vapor contains toxins and carcinogens, and because there are dozens of unregulated manufacturers, it is impossible to know what exactly is being inhaled by the people who are exposed to vapor from e-cigarette users. The health impact on users. Without knowing their ingredients, we cannot know the health effects that result from e-cigarette usage or exposure. While e-cigarette companies claim they are safe, they have no scientific evidence to corroborate this claim either. E-cigarettes are aggressively marketed to children, with flavors like bubble gum and cotton candy. The marketing is disturbingly similar to past cigarette marketing that is now illegal. E-cigarettes are nicotine delivery devices. Nicotine is highly addictive, according to the National Institute of Drug Abuse (NIDA) – http://www.drugabuse.gov/publications/research-reports/tobacco-addiction/nicotine-addictive. The Food and Drug Administration is researching e-cigarettes in order to determine safe and necessary regulations (like all other products we ingest), but no official government regulations can be expected for at least three years. • No misleading health claims. Utah, North Dakota, New York City, and other governments in the U.S. and abroad already regulate e-cigarettes, and ASH encourages all jurisdictions to do the same. We, along with many other public health and regulatory organizations, also urge the FDA to move as quickly as possible to regulate e-cigarettes at the national level and to protect the health of everyone.